Lampshade Making Workshops – What a bright idea! 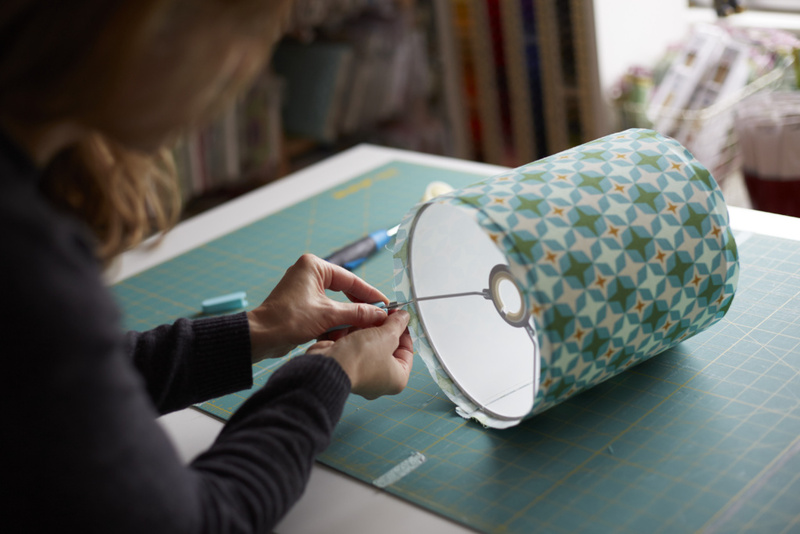 If you’ve felt inspired by what you’ve seen on our website, then we also offer lampshade making workshops. Based in Amersham, Buckinghamshire, they will be hosted by none other than our Lampshade Parade founder and drum maker par excellence, Katrina de Toney. During the day, Katrina will provide all tools and equipment needed to make your very own 30cm drum lampshade to take home with you. Even better, you will be able to proudly declare to anyone and everyone that visits “I made that!” and that’s not even the best part. All the tips and skills that you acquire on the day will enable you to confidently recreate the steps at home to make more lampshades as and when you need. Your 30cm lampshade kit is all included for you plus tea, coffee and cake because we want you to feel at home. Join us in our studio in pretty Chesham Bois, Buckinghamshire. Light and stylish, the Woodland’s Studio provides the perfect location for inspiring your lampshade designs. Free parking available close by and just a 15minute walk from Amersham Station it’s perfect for those traveling from further afield. The address is 15 The Woodlands, Chesham Bois, Amersham, Bucks HP6 5LD. 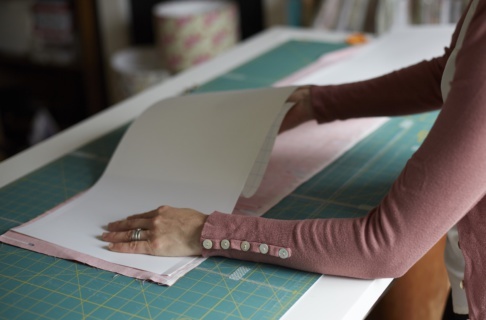 You will need to bring half a metre of light or medium weight cotton fabric (100cm wide). If you are uncertain whether your chosen fabric is suitable, please message us beforehand and we will be able to advise you. When is the next workshop running? Click here to take you through to our booking page to secure your place. Yes we do. Please contact us with your requirements and estimated group number and we will be happy to tailor make a course to suit you and your friends needs.